Are there Nigerians who do business with a human face? Yes, is definitely the answer. And who tops that list? For millions of users of the GSM services in Nigeria and numerous businessmen and women who seek personalised banking services, the name that will pop up will be that of the Chairman, Mike Adenuga Group of Companies, Dr. Mike Adeniyi Ishola Adenuga Jr. (CON). In both the banking and telecommunications sectors, though with vast investment in other sectors, Adenuga has touched so many lives in the last 365 days. Take the telecommunications sector: For subscribers to the services of Globacom, a company owned by Adenuga, it has been an eventful year. With interest in banking, oil and gas, aviation, Adenuga's altruistic spirit manifested in the telecommunications sector when he, this year, built on the cause he has been championing for the downtrodden masses. He further demystified the elitist garb put on telephony by destroying more of the fetters consciously erected by the elite to restrict access to mobile telephone services through punitive cost of acquiring the subscriber identification module (SIM) cards and an equally punitive tariff regime. 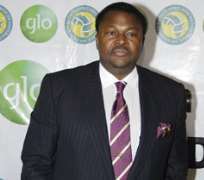 When he threw his hat into the uncertain telecoms ring about seven years ago, not many felt Adenuga could make any meaningful inroad as the industry was largely dominated by foreigners who not only had the financial war chest but rich experience of successful operation in a couple of sister African countries and the Middle East. Though the third to start operation, no sooner had his firm, Globacom, began operation than it became the darling of subscribers, thus bestriding the telecommunications firmament like a colossus, setting the pace for others that even had track records of successes before starting operation in the country. Today, Globacom has been adjudged as not only the most innovative network in Nigeria, but the fastest growing in Africa and the Middle East, with operations in Nigeria, Ghana and Benin Republic. It has also just won a licence in Cote d'Ivoire. Early in the year, the telecoms company, through its subsidiary, Glo Gateway, announced a 70 per cent reduction in international calls to the United Kingdom, the United States and Canada. Instead of the N39 per minute earlier charged for calls to these destinations, Glo will now charge 20 kobo per second and N12 per a minute for calls to all lines in the USA and Canada and the same rate for calls to landlines in the UK. The promotion will end on January 31, 2010. Fadipe said this has not only ensured heavy reduction in call tariffs but also underlines Globacom's resolve to continue to offer its subscribers affordable telecommunications services. Glo was able to achieve this feat because of the direct interconnectivity it had established with many international carriers. It also embarked on an ambitious project of laying an undersea cable called Glo 1 from Europe to Nigeria, passing through several African countries, and concluded the exercise successfully. Not satisfied with the first reduction in call tariffs, the telecommunications giant again announced another 62 per cent reduction in tariffs for international calls. The tariff slash, which is for calls to fixed lines in the United Kingdom and all lines in the USA, Canada, India and China, is being offered in a new promotion, which started on August 20, 2009. Under the new arrangement, calls to the designated routes will attract 25 kobo per second or N15 per minute instead of 65k per second or N39 a minute earlier charged for such calls, translating to a 62 per cent reduction in the call tariff. For peak periods, the tariff has been cut by 15 per cent. Calls to the destinations will cost 55 kobo per second or N33 per minute instead of 65 kobo per second or N39 per minute previously charged. The offer, which is the most competitive in the industry, is open to both new and existing customers on both the prepaid and postpaid platforms. Demonstrating its leadership of the industry, Glo again pioneered the prepaid 3G Plus modem, thus making it possible for millions of prepaid subscribers on the network to enjoy the benefits of high speed Internet service. With affordability standing as the driving force for all its products, the easy-to-use Glo 3G Plus modem costs N8,500, the most competitive rate in the market. The modem, Huawei E160G, is of the highest quality and is compatible with various operating systems and networks, including Windows 2000, Windows XP, Windows Vista, Apple Mac (OS X 10.4 & 10.5), GSM, GPRS, EDGE, WCDMA and HSDPA, Hall stated. To enjoy the high speed Internet service on the 3G Plus modem, a prepaid subscriber is required to simply text “activate” to 127 from the 3G Plus SIM card sold for just N200. Other advantages of the Glo 3G Plus modem include extensive coverage, instant activation, low tariff, subscription and re-subscription via recharge cards and flexible bundle offerings. The 3G Plus technology was extended to prepaid subscribers on the Glo network to enable them to enjoy benefits, which before now were available to only postpaid subscribers. Globacom had in December 2007 become the first GSM network in Nigeria to launch the 3G Plus. In addition to giving users high speed Internet access, the 3G Plus technology allows them to do video calls and video streaming on their 3G mobile handsets. It also offers other advanced mobile services such as Video Greeting Kiosk, Video Mail Box, Video conferencing on both phones and PCs and so many other services on the 3G High Speed Downlink Packet Access (HSDPA) network, which enables speeds up to 3.6 megabytes per second (Mbps). With dogged determination to ensure the availability of telecommunications services to every Nigerian and the entire African continent, through the availability of bandwidth, the telecoms giant embarked on the construction of an undersea cable called Glo 1. The multi-million-dollar international submarine cable of the second national operator, berthed in Lagos in September 2009. Officials of the technical partners to the telecoms company, Alcatel-Lucent, handed over the Glo 1 submarine cable to Globacom, signaling the birth of a new era in telecommunications in the continent. The 9,800 kilometre-long cable from the UK through Mauritania, Morocco and 16 West African countries, with dedicated extension to New York, USA, was anchored at its Landing Station at Alpha Beach, Lekki, Lagos. The Glo 1 cable will deliver transmission capacity that will radically change Nigeria and Africa's economic landscape by providing unprecedented high speed Internet services and make telecoms services much faster, more reliable and cheaper for consumers. With a current capacity of 640 Gigabyte per second and an ultimate capacity of 2.5 Terabyte per second, experts say its ultimate capacity is enough to cater for the required broadband capacity of Nigeria for at least the next 15 to 20 years. The facility will provide the needed opportunity for West African countries and indeed Africa to leap forward economically through an excellent communications network and a cost-effective voice, data, video and e-commerce services across Africa, Europe and the rest of the world. With 99.9 per cent reliability, world-class long distance voice, video and data communications services for African customers, the undersea cable will support the large bandwidth requirements of direct consumers and other service providers. The cable will free up resources for other forms of investments, which governments and business developments need, through broad market coverage at high capacity and at a fraction of cost and time and also facilitate foreign investment and employment opportunities in the sub region. The Intrepid, the ship which brought the Glo 1 cable, later left for Accra, Ghana to complete the Phase One of the installation in other West African countries, including Senegal and Cote D'Ivoire. The landing of Glo 1 in Ghana will also boost the preparation for the nationwide launch of Glo Mobile Ghana. Glo also said that the Phase two of the submarine cable project will connect South Africa through Angola. Just as the year was going to an end, the telecoms company launched Glo Broad Access, which is set to put the industry on a revolutionary course as it will offer the benefits of convergence of advanced voice, advanced data and advanced video on one single wired line. The Glo Broad Access is revolutionary because it offers the benefits of a truly fast broadband Internet, stable and distortion-free voice connections, video conferencing and even cable television through Glo wired lines installed in homes and offices at a very low cost. Experts have said the launch of Glo Broad Access is another giant leap and a milestone in the history of telecommunications in Nigeria. This is because it will now fill the vacuum created by the exit of the Nigerian Telecommunications Limited (NITEL) from the scene and the consequent death of fixed lines in the country. Just as the yuletide drew near, Glo again unveiled another reduction in tariff for all its customers. Pre-paid subscribers on its network had a 50 per cent reduction in their call tariff. They enjoyed free airtime on calls within the network in a new tariff plan tagged Talkmore. The telecommunications giant said Talkmore is a deserving end of year and New Year gift for Nigerians. With the package, which was an instant hit, Globacom prepaid subscribers have the opportunity of making Glo-to-Glo calls at the rate of 30 kobo per second and N18 per minute, making it the lowest fixed rates among all the GSM operators in the country. The new price plan has a tariff of N36 for calls to other networks. Regarded as Nigeria's most innovative network, Glo pioneered the introduction of several other innovative services in Nigeria. This includes the Per Second Billing (PSB), Mobile Internet, Blackberry, Vehicle Tracking, Voice SMS and In-flight Roaming. In the banking setor, Adenuga performed what could be regarded as another wonder. The bank in which he owns the largest share, Equitorial Trust Bank (ETB), was almost going to go under but for his quick intervention. Given the options of either recapitalising or having the bank liquidated and taken over by the Central Bank of Nigeria (CBN) and the Nigeria Deposit Insurance Corporation (NDIC), Adenuga opted to save the bank. This was mainly because of what the bank's shareholders would lose. He raised $150 million to save ETB. So many banks have gone under due to the failure of the major shareholders to recapitalise as demanded by the government. For numerous Nigerians then, 2009 was a year in which Adenuga made a difference in the lives of many. In both the telecommunications, banking and other sectors, Adenuga Glowingly touched the lives of many. The Nigerian Compass thus joins millions of Nigerians in affirming Adenuga as the Man of the Year 2009. Indeed, it is not only in Nigeria that Adenuga, who was born on April 29, 1953 has been adjudged the 2009 Man of the Year. In the United Kingdom, Nigerians living there adjudged Adenuga the Personality of the Year. This was in the maiden Nigeria Arise Award, held in London recently. The Nigeria Arise Awards is designed to recognise Nigerians who are doing exceptionally well to promote the image of the country on the international scene, given that the outside world sees Nigeria mainly in negative light. In a survey for Nigeria Arise Award, conducted by BEN Television, the first black satellite television channel in Europe with about 7.5 million viewers, Nigerians in the United Kingdom rated Globacom the number one African corporate institution. They said the company, more than any other corporate institution, made them proud. Adenuga's rise to wealth and the accompanying fame is an interesting story. His resolve to succeed against all odds started when, while in America, he worked as a taxi driver and security guard to sustain himself in school. Adenuga had his secondary school education at the Ibadan Grammar School, Ibadan, Oyo State, before proceeding to the North-Western University in Oklahoma and Pace University, New York, both in the United States where he studied Business Administration. At age 26, Adenuga had already become a millionaire with connections in high places. With his unique flair for risks and sheer tenacity of purpose, in no time he started reaping profits in billions. He owns Consolidated Oil, which carries out crude oil drilling, refining and marketing. His first shot into the consciousness of Nigerians was when his company, Consolidated Oil, became the first indigenous company to strike crude in December 1991. His bid for a telecommunications licence is a lesson in perseverance. With his Communications Investment Limited (CIL), he was issued a conditional licence in 1999. The licence was later revoked. Again, when in 2002, the government through the Nigerian Communications Commission (NCC), organised new auction for the GSM licence, the CIL participated and was one of the four that won the bid. He paid the $20 million mandatory deposit. However, in the process of effecting the release of the balance payment of $265 million, the company was adjudged to have failed to pay within stipulated time. CIL lost both the licence and $20 million deposit. He later went on to bid for the Second National Operator (SNO) licence, and deposited another $20 million. This time, he was lucky. He won the bid in August 2002 through his Globacom Limited. The SNO has a wider range of operations as Globacom has the right to operate as a national carrier, operate digital mobile lines, serve as international gateway for telecommunications in the country and operate fixed wireless access phones. Adenuga's estate business and company shares traverse several countries in Western Europe, North America and the Middle-East.